Have you noticed how much time young kids spend playing on the floor? I can bet that over 90% of the time spent playing (indoors), they are on the floor! My third tip for designing with young kids in mind is all about providing a soft, beautiful, yet durable surface for them to sit and play on. 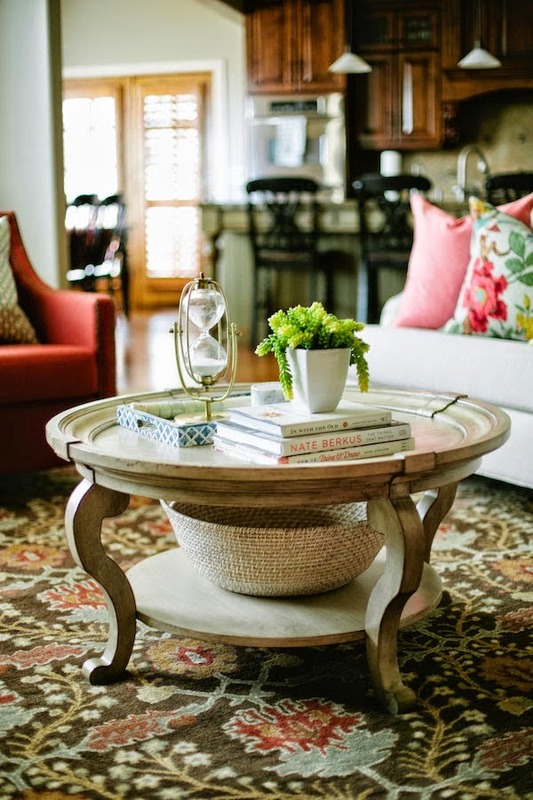 Rugs add softness and texture, and often "ground" spaces. They also help warm up hard surfaces, like wood and tile. I know that some would rather leave their hard-surfaced floors bare because they're afraid of spills, stains, and such. 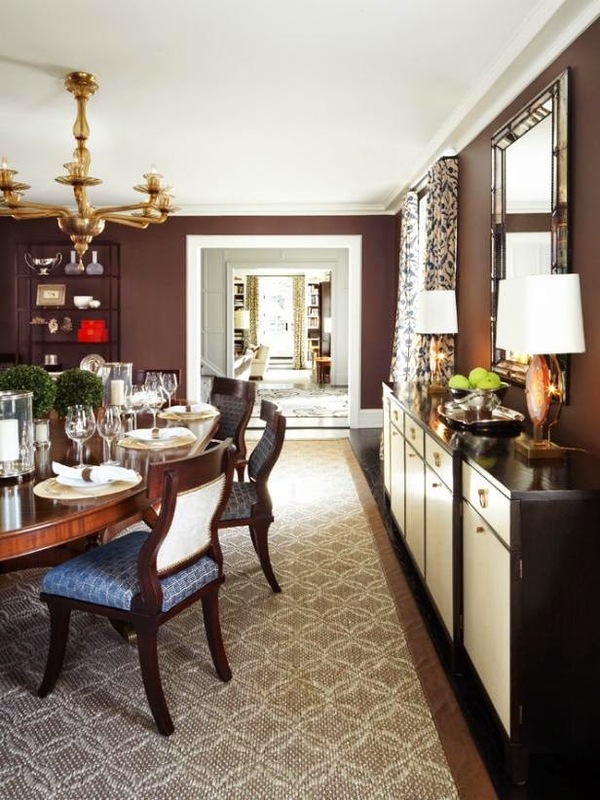 This seems especially true when it comes to dining areas. Well, one of my favorite tips for kid-friendly, pet-friendly, and high-traffic areas is to use an indoor/outdoor rug or natural fiber rug. They are extremely durable and can handle most messes and spills. They are also easy to maintain, as most require only vacuuming, shaking off, or even hosing down! 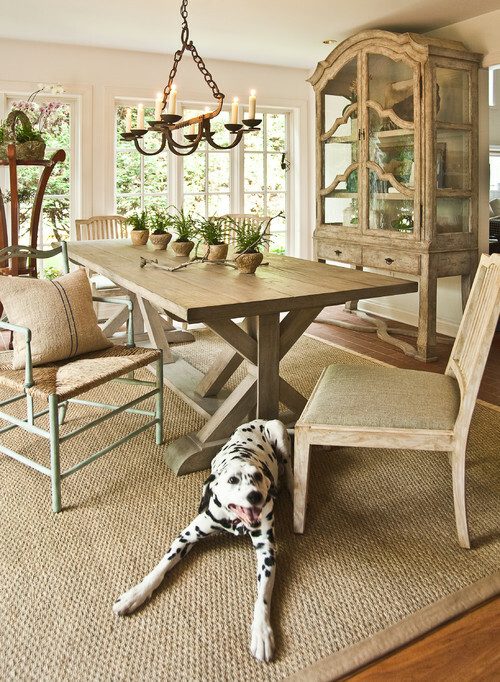 I especially love natural fiber rugs. They are quite versatile and inject so much texture into a space. From my own personal experience, they are soft underfoot. They are also great for layering. 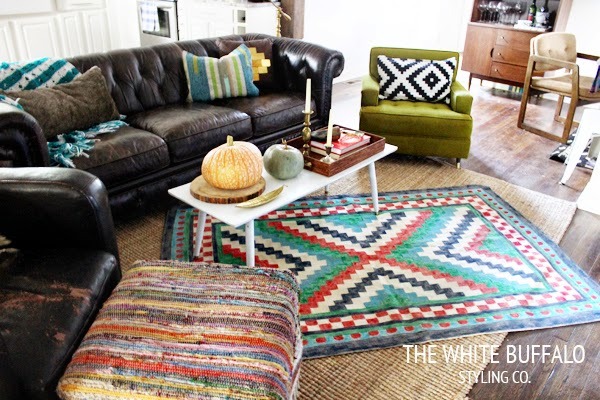 Flat-woven, kilim, and dhurrie rugs are all wonderful layering rugs that are kid/pet-friendly! 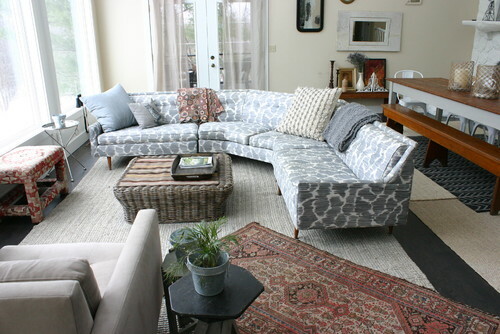 If you prefer wool or other material rugs, I'd suggest a patterned design to keep any stains from being too noticeable. It is important to make sure you purchase an area rug that matches your lifestyle. 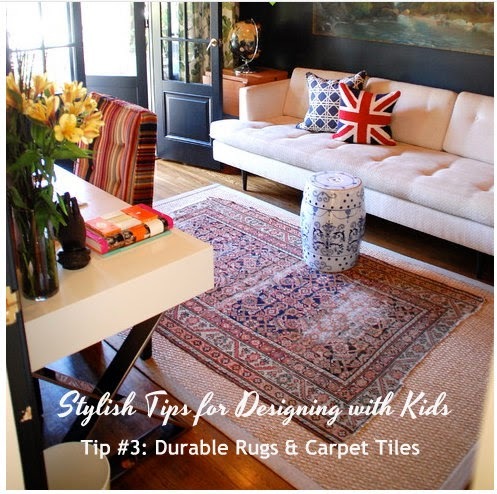 If you have kids and pets, I'd probably hold off on a silk rug! 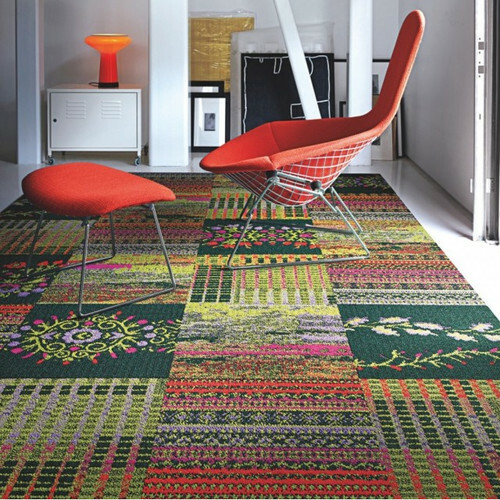 Modular carpet tiles are another great option. I like to use them in family rooms, bedrooms, and playrooms. They are very durable and easy to replace, if needed. They also give you the flexibility to create an "area rug" in the exact size, shape, colors, and patterns that you want. There are so many options!